Our first Vizsla Remus, CH Shakin’ My Booty Rezzamatazz CGC SH, was born today. Just typing that sent a shooting pain through my heart. Perhaps this is what “bittersweet” feels like. This day was once a joyful day we celebrated for so many years. Now, a painful memory. Painful because in my mind’s eye I can see his smile just as bright as ever. My memory of his beauty…his spirit hasn’t faded a bit. On the contrary. Remus is just as real as he was a year ago when we celebrated yet another regular old morning because…well…it was the morning! This was Remus–always excited. Always looking forward to what we might do next. Always engaged in life. Always making us feel great. He was never “just a dog”. He was our four-legged child. Our one in a million. He was our “soul” dog. He was our “heart” dog. And, he left us too soon. How unjust and cruel life can be. Though, I suppose such cruelty serves as a reminder to do your best be present and not take things, especially your loved ones, for granted. 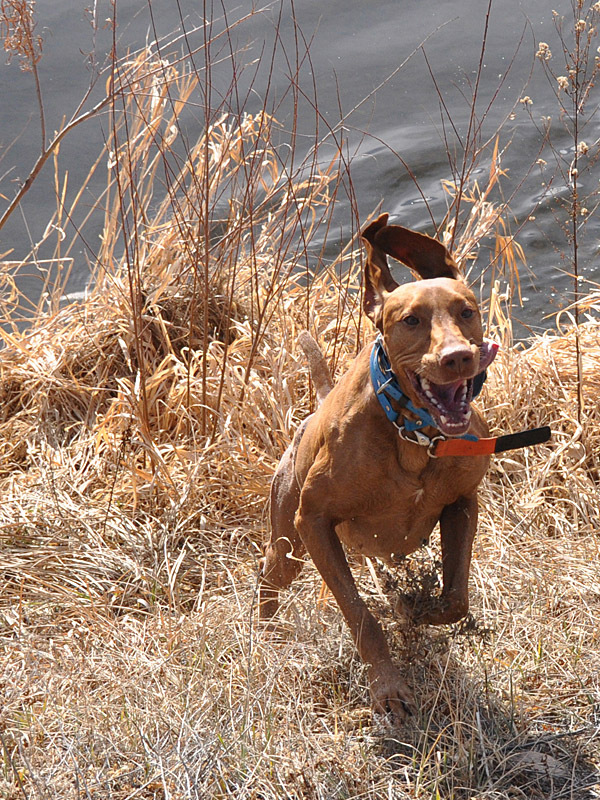 I look forward to the day this lingering pain leaves my heart and I can think of my precious Vizsla boy with pure happiness. Happy Birthday my Remus–you changed my life when you were alive and you continue to change it in your death. I do hope you’re looking down on us and smiling your big, beautiful smile. And, though I hope to live a long, full life, I look forward to the day we’re reunited.